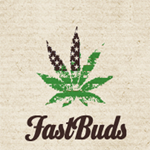 Fast Buds are a team of professionals from Los Angeles, state of California. Although all of their breeding, years of fruitful work and close cooperation with the best growers of States forever belongs to California, they decided to risk a step over the big lake to create their own seed bank on the territory of Europe. The company Fast Buds was founded in 2010 in Spain. Their primary goal - to convey to the people the most fashionable and trendy autoflowering genetics of California in the form of cannabis seeds and introduce it to all growers of the planet.